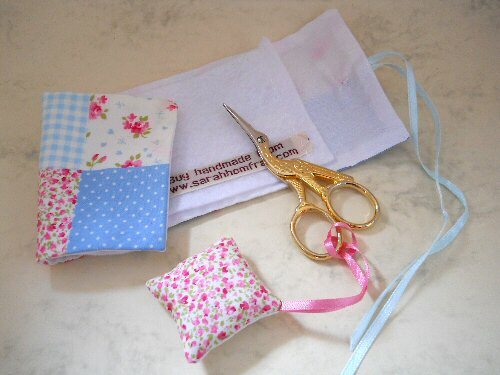 This pretty handmade needlecase is ideal for getting yourself organised. 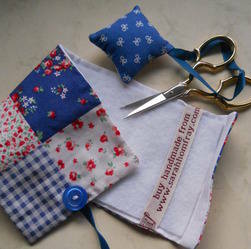 Push your needles into the felt inside, roll or fold your needle case and fasten quickly by winding the ribbon around the button. 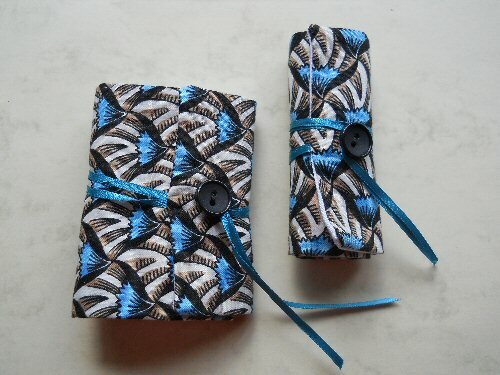 Never loose your scissors again and identify them easily with a matching scissor keep! 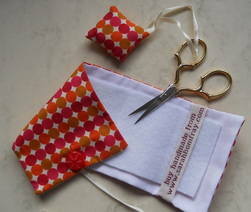 Loop the ribbon through the scissors and back over the padded fabric to fasten onto your scissors.